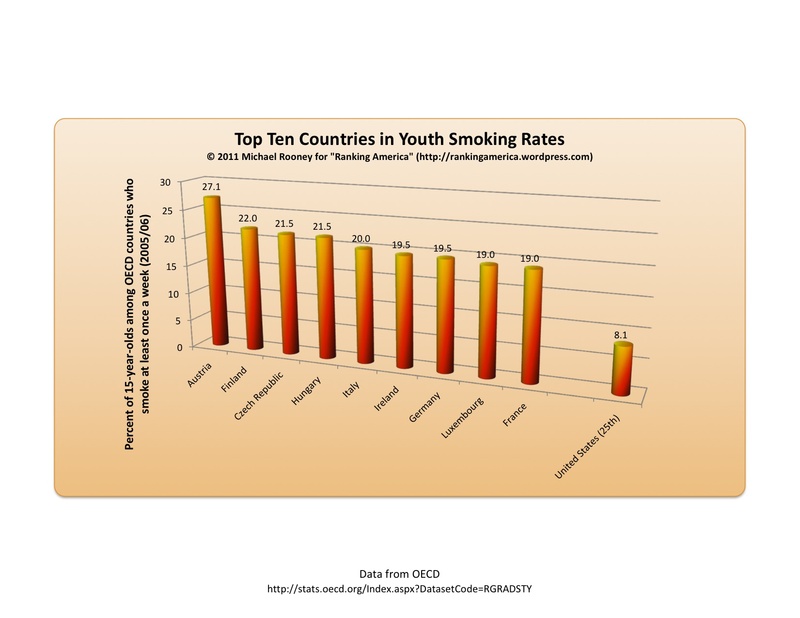 According to the most recent data available from the OECD, 8.1% of 15-year-old Americans smoke at least once a week. 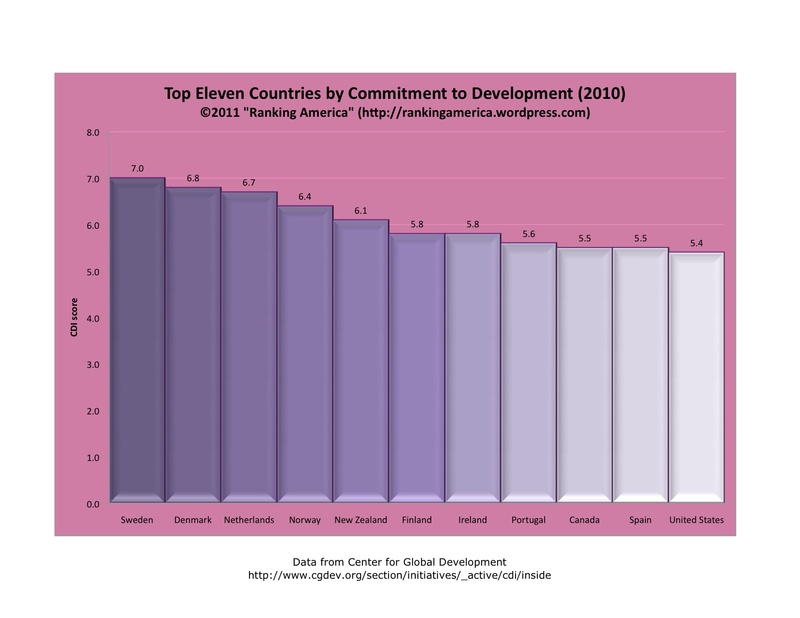 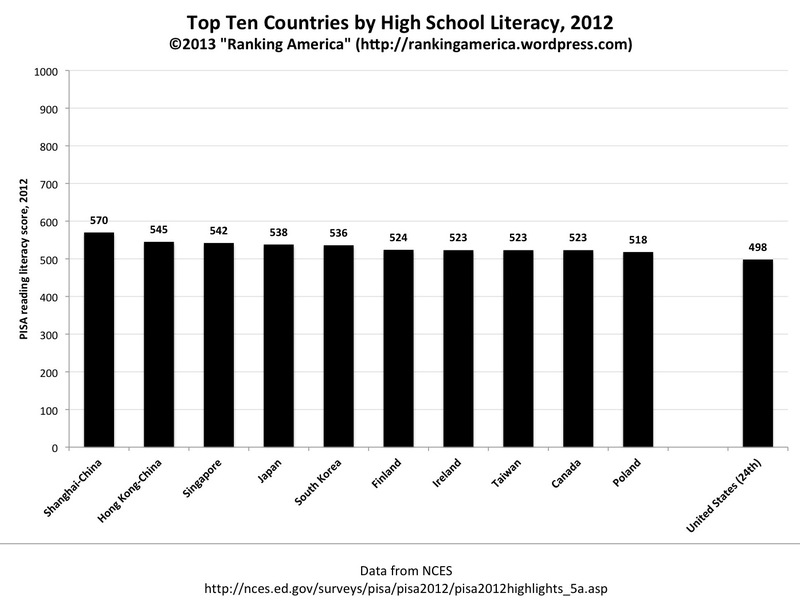 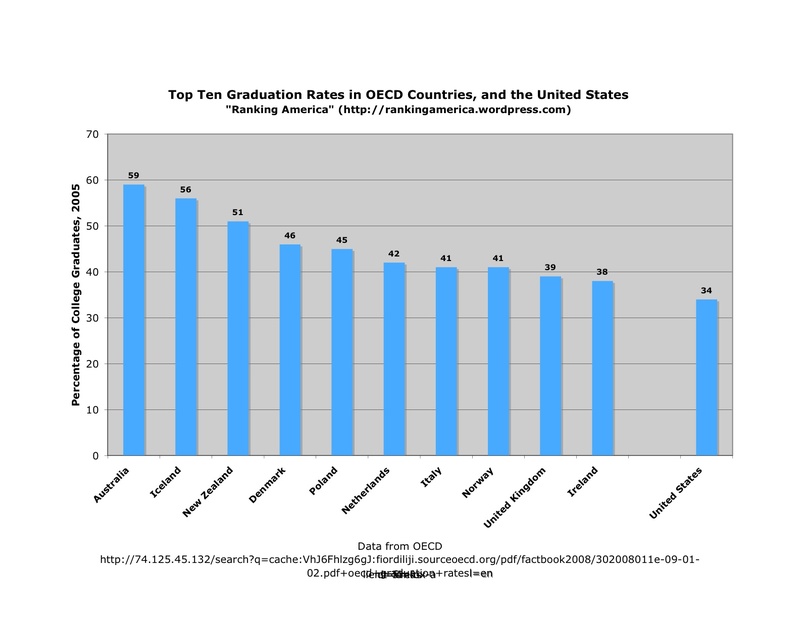 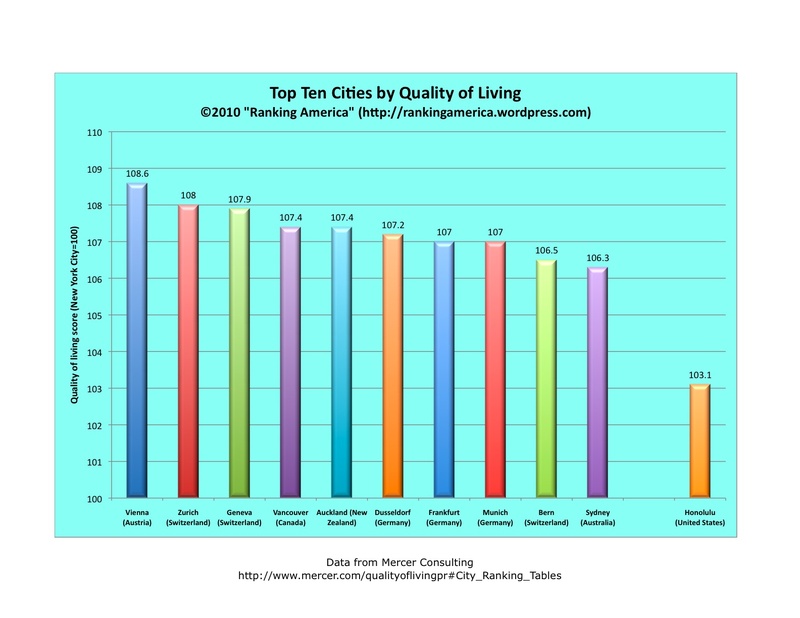 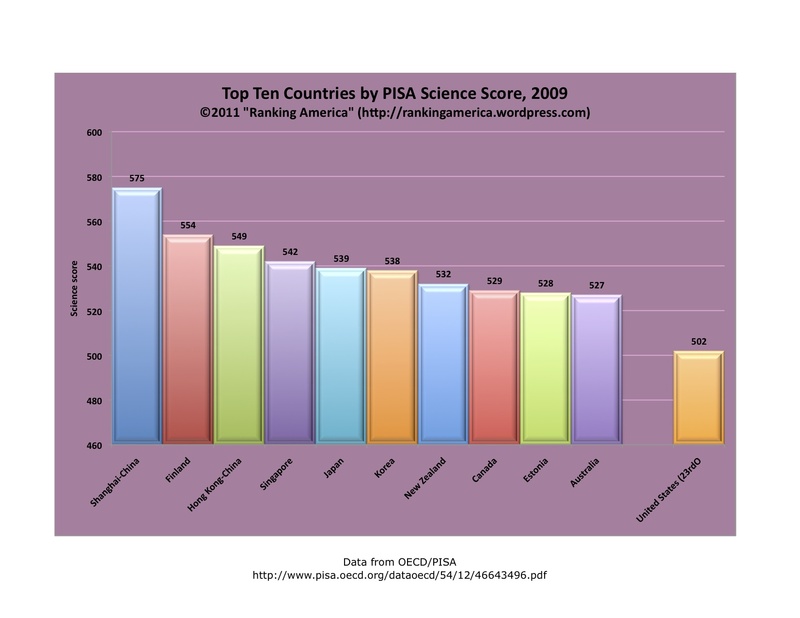 This makes the United States rank twenty-fifth out of the twenty-five participating OECD countries. 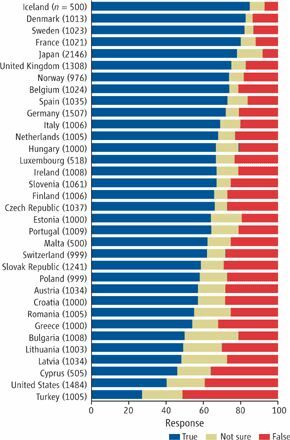 Austria ranks first, at 27.1%. 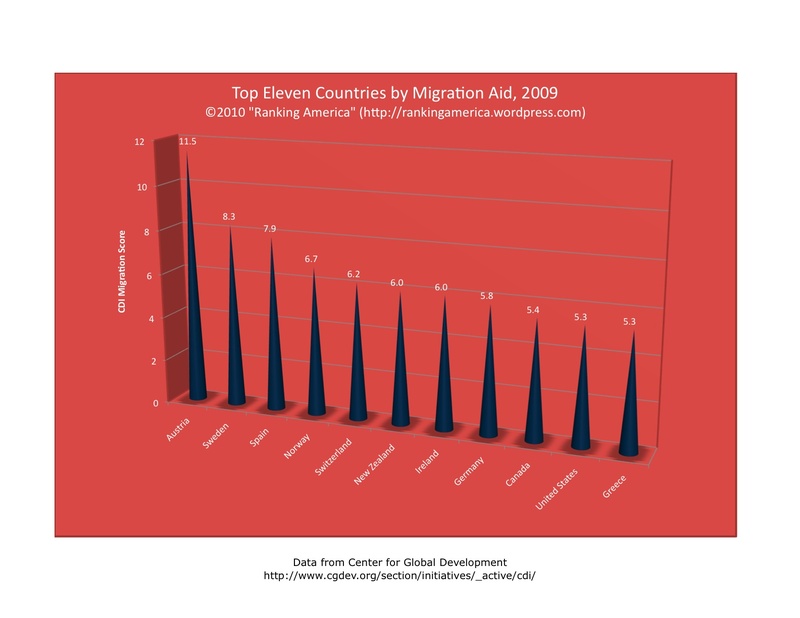 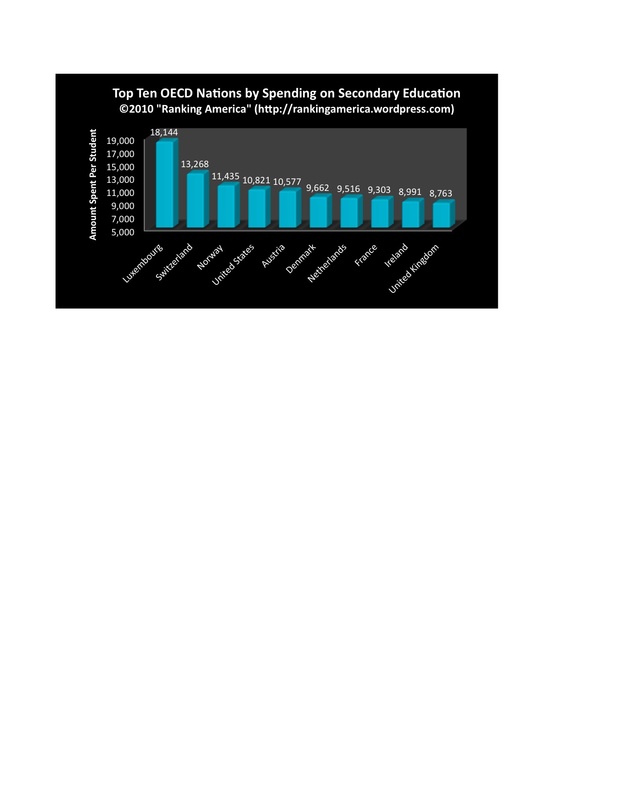 According to the Center for Global Development’s Commitment to Development Index, 2009, the United States has a migration aid score of 5.3, which makes the United States tied for tenth with Greece in that category, out of twenty two ranked wealthy nations. 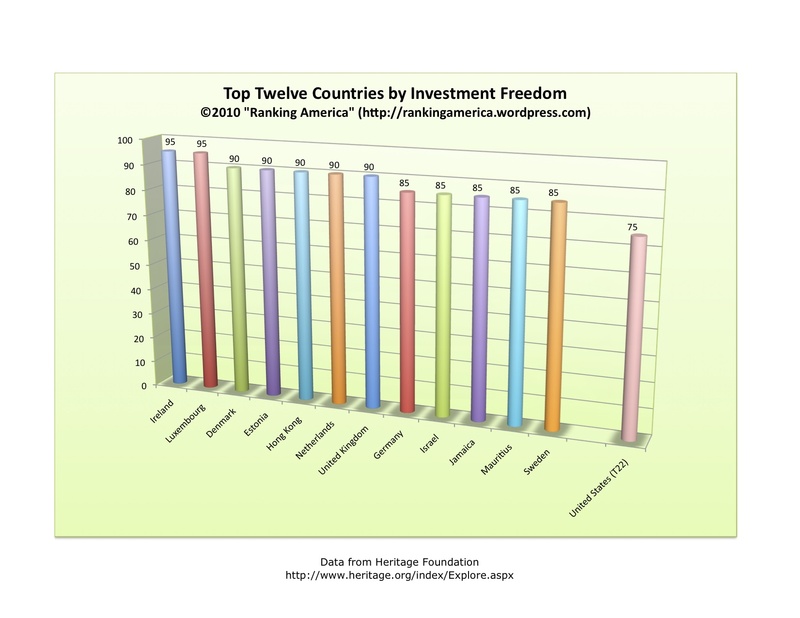 Austria ranks first, with a score of 11.5.